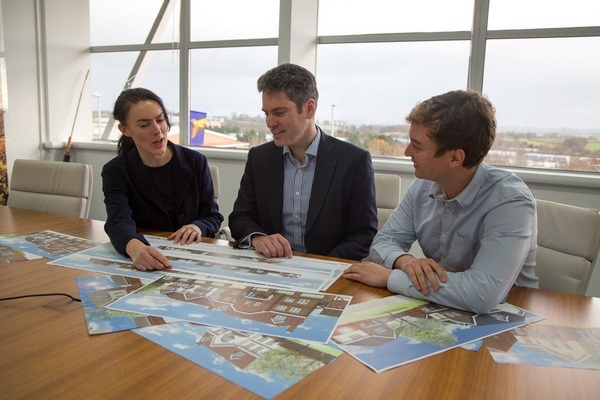 AN Exeter-based team are striving to be at the technical forefront of residential home design as they look to introduce new and innovative initiatives to housebuilding in the South West. Working for local builder Bovis Homes, the group are now looking for ambitious and talented architects and engineers to join them on their journey as they look to transform the region's housebuilding landscape. Using techniques such as 3D visualising, drone filming and Building Information Modelling (BIM), the Head of Engineering sees 2018 being a milestone year. “This is shaping to be an exciting year for the industry and for Bovis Homes in the South West,” said John Drewett, South West associate director of engineering. “There are a number of key developing initiatives that are coming to fruition in the next few months, and these offer tremendous opportunities, both for our business and for industry professionals who are looking for a cutting-edge challenge. Over the last two years the multi-discipline team has led the charge in adopting new technologies by carrying out a comprehensive review of current technical working processes with the goal of improving process efficiency, information quality and communication within the business. The team's passion and drive has been recognised by earning a nomination at Bovis Homes' own national awards for innovation and proud regional managing director, Dave Farley, said: “The design process is the first step in a long and complex procedure to deliver high quality homes that we are proud of to our customers. The latest South West homes can be viewed here.